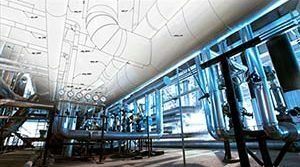 Cryogenic Insulated Pipe Supports Designed for a Natural Gas Refinery | Piping Technology & Products, Inc.
Over 1200 cryogenic insulated pipe supports were designed for a natural gas refinery in Abu Dhabi. 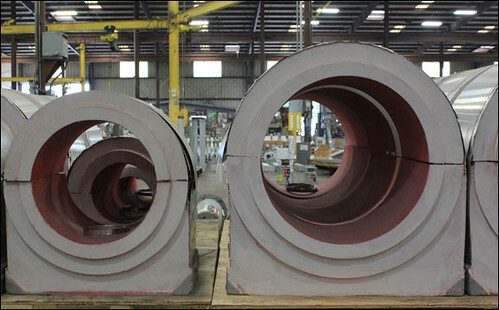 The supports range from 1″ to 30″ in diameter and have 30 lb. 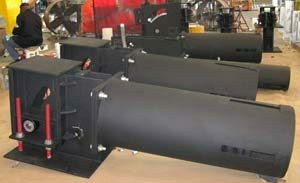 polyurethane foam (PUF) insulation. These cold shoes are comprised of a vapor barrier, an aluminum jacket and a carbon steel base. An ice test was performed on all the supports prior to shipment.